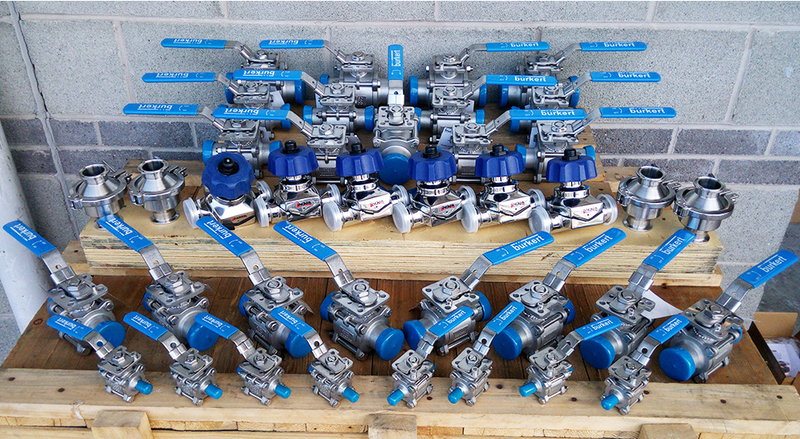 One of MTA Process Components specialist areas is Valve Actuation. 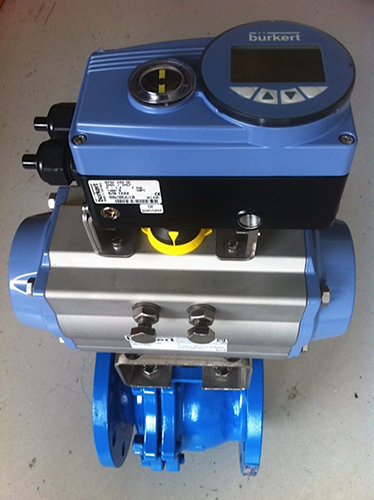 Actuated Valve Packages, electric and pneumatic, assembled and tested in-house. 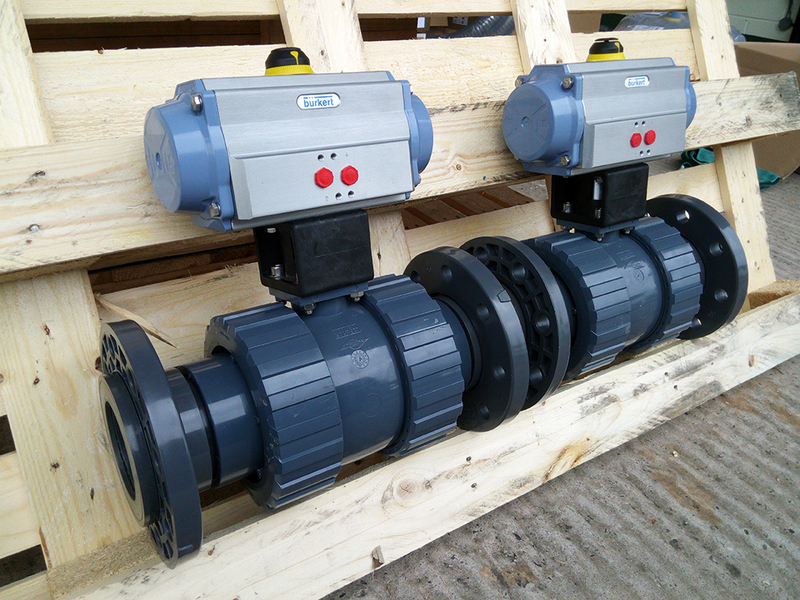 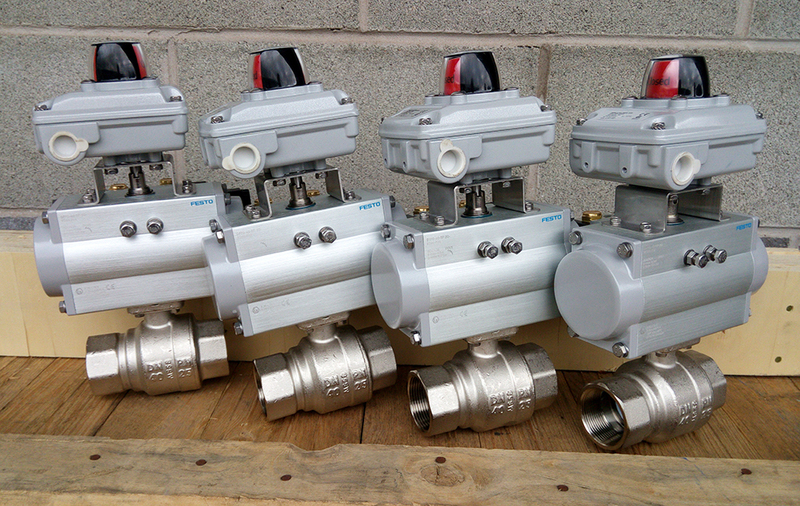 Large range of valves and actuators, also depending on the request, we can have them ready for same-day dispatch. 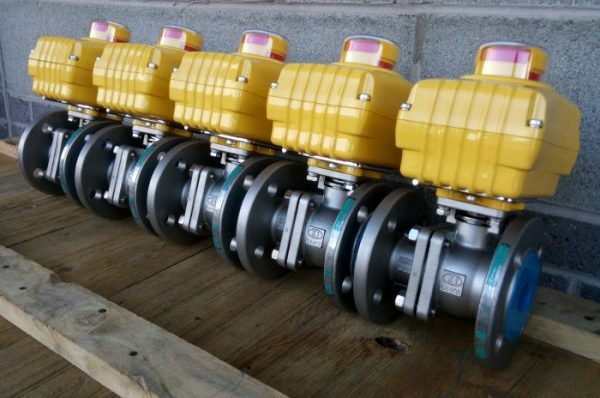 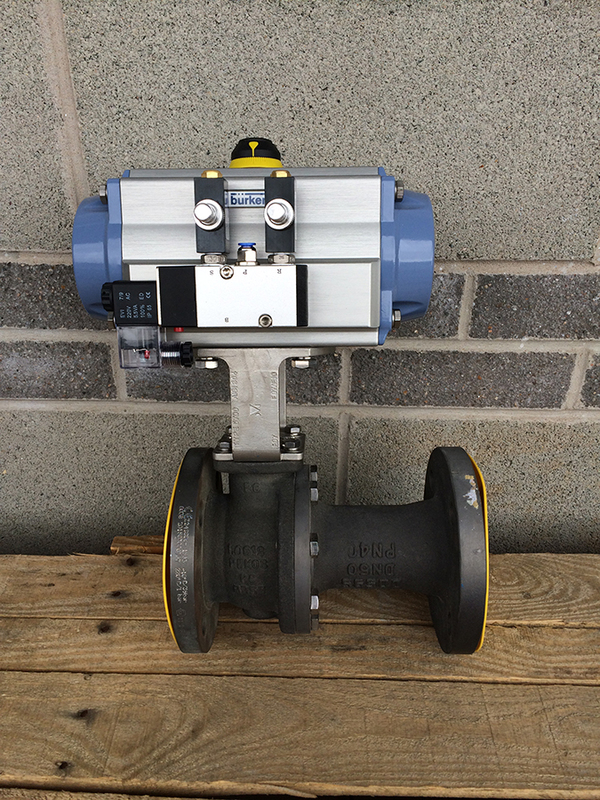 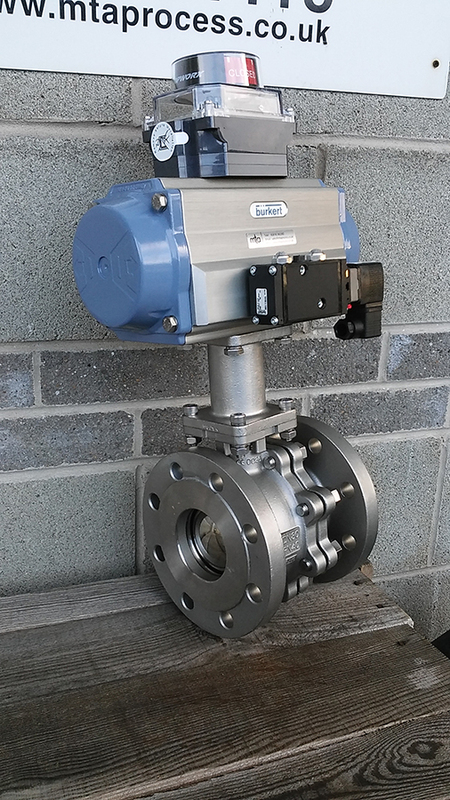 The range includes actuated butterfly valves, stainless steel valves also actuated brass ball valves, hygienic, uPVC valves and many more. 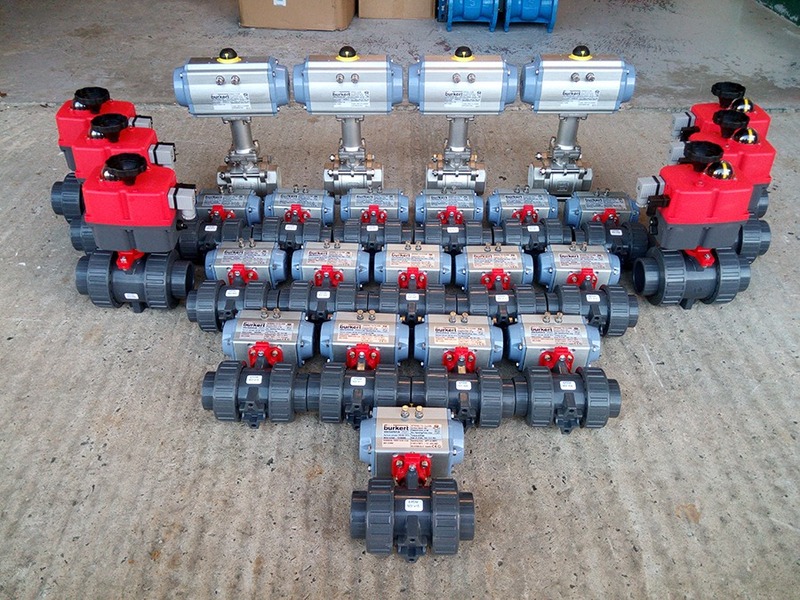 Take a look at our completed packages below. 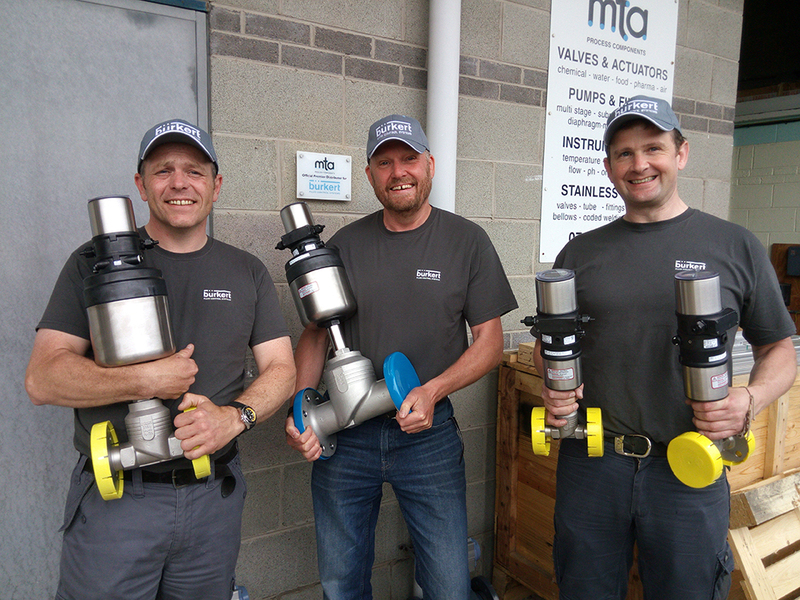 If you don’t see what you are looking for here – Call us +44 (0) 2893 362282 – we’re happy to help. 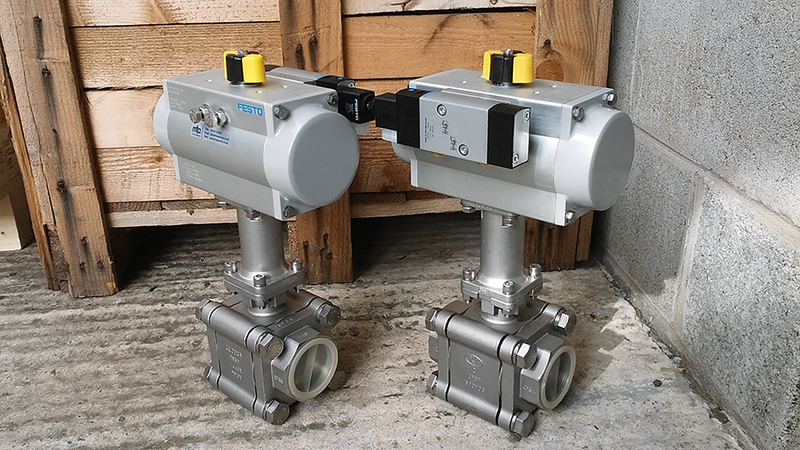 Festo actuated nickel plated brass ball valve package c/w switchbox, ideal for an economy automated valve solution. 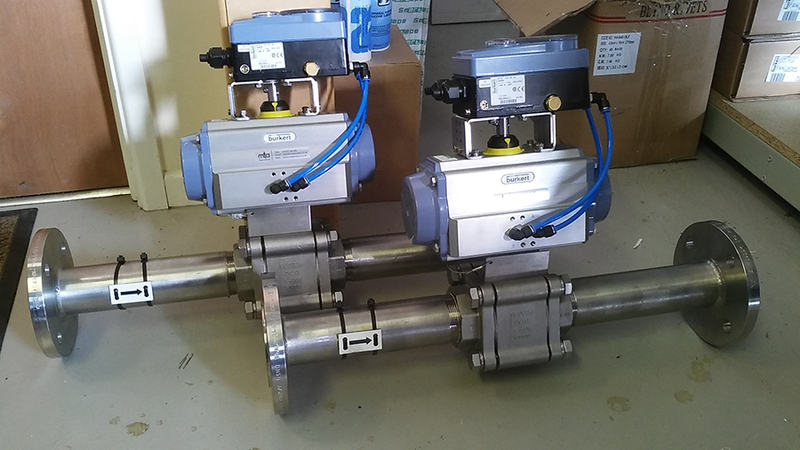 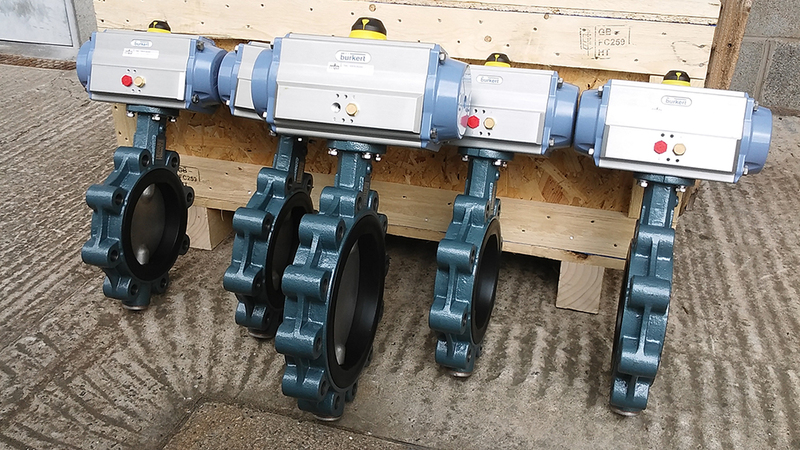 Burkert globe control valves supplied for an industrial autoclave process upgrade, replacing outdated green painted control valves at a fraction of the price. 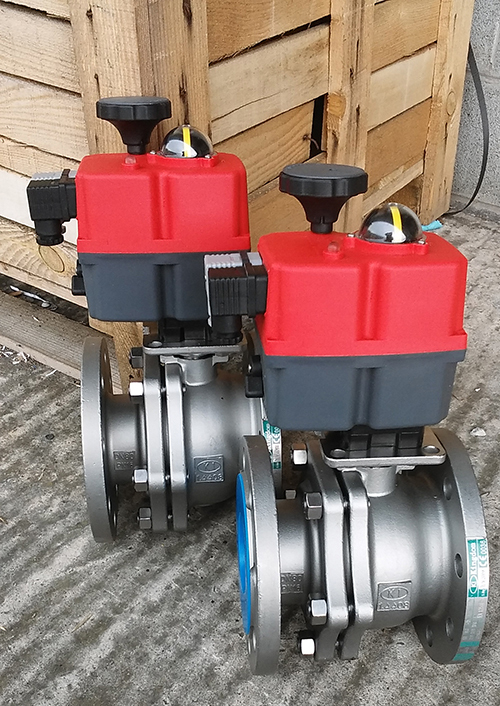 With the added benefit of SS construction bringing the new valves into line with the surrounding SS pipe work.